The Truth Behind the Mysterious Set Menu, Revealed! The kobun cafeteria’s menu consists of an all-star lineup of international delicacies of the finest taste!! Their popular A~D Set meals are also highly reputed! During their speed training, you can often see Set Menu items come up over and over again. They are popular staples for the hungry kobuns. Here it is, the Kobun Cafeteria Menu! Seasoned with our carefully selected apple and cinnamon blend, for that classic flavor. This is our #1 Most Popular Menu Item! Our own home-style bonito soup joins our handmade noodles in an elegant harmony. Made from top quality minced meat and served American style with a side of fried eggs, sunny side up. Roasted pork cutlets in a refined sauté, for an adult taste. Give it a try! Our health menu dish: a large-sized omelette served with a heaping side of vegetables. Our freshly baked European style bread, made from only the finest quality flour. Even This Shitapper Recommends Us! A Large Shipment Has Arrived! Next month, we’ll be holding a Japanese Black Beef Festival! Tron: It would be too boring to eat the same thing every day, you know? Well, there you have it. Those of you who’ve been wondering what those Kobuns in the mess hall have been serving need wonder no more. Man, those pirates are eating better than I do. Who says crime doesn’t pay? 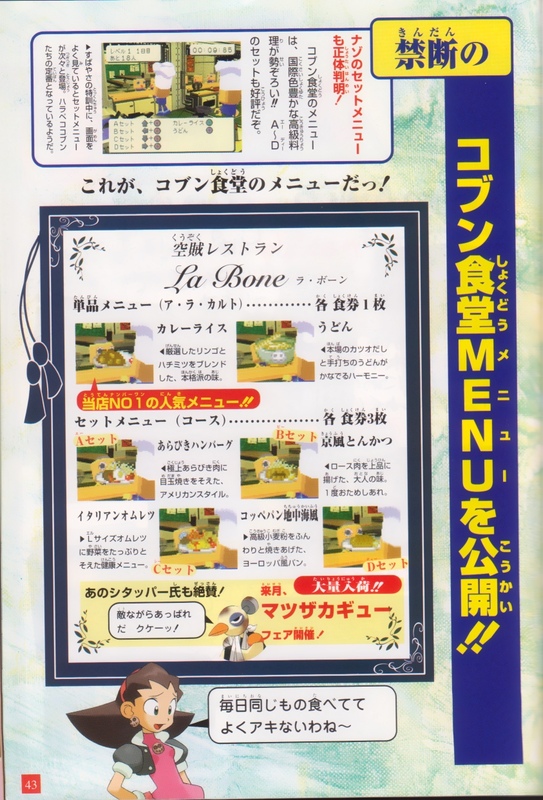 Even though the name La Bone (or La Bonne) invokes ideas of fine French cuisine, there doesn’t appear much in the way of actual French dishes (even the omelet’s Italian style). Perhaps stranger, in a world covered by endless water, they don’t seem much into seafood. But hey, neither am I. Even though it’s quite unlikely that there is a Japan, America, Italy, etc. in their world, I guess that the culture set forth for them by the Master preserved the old world nationality origins of their time-honored recipes. Well, that’s my guess anyway. By the way, “Shitapper” is the Japanese term for Birdbot, meaning underling or lackey. Mm’mm, looking forward to that beef festival. 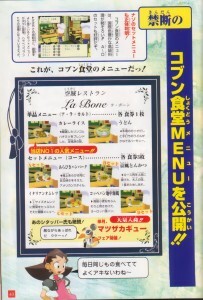 4 Comments to "Dining A La Bonne"
Man those dishes sound delicious. 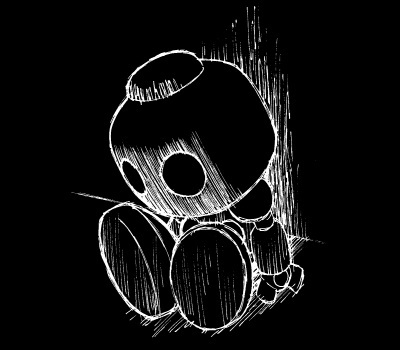 With I were a kobun… wait nevermind no torture room for me. Dining A La Bonne is popular for me ..I love this word ,thank you for sharing..
Actually, I’m no linguistic expert but “La Bone” could be italian. There are many similar words in spanish and italian, ‘la’ for example. Maybe if it were “Le Bone” it might be french. « All Aboard the CFC Express!